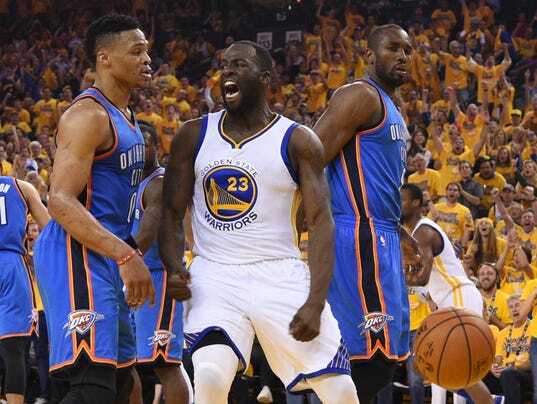 OAKLAND – When someone mentioned the magic number, Draymond Green scoffed. A few weeks ago, the Golden State Warriors set an NBA regular-season record that spawned another collection of blue and gold hats, T-shirts and banners in honor of their 73 victories. “That does not matter,” Green, the Warriors’ emotional heartbeat, grumbled Wednesday as Game 1 of the NBA Finals rematch against the Cleveland Cavaliers looms. “Seventy three wins, it is what it is. That has nothing to do with chasing a title. This is a completely different mission.